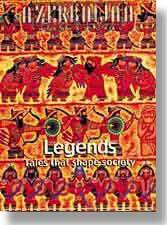 Front cover: Legends - Tales that Shape Society. Legends are stories based on tangible facts from the past, such as geographic location, extraordinary accomplishments or charismatic figures. 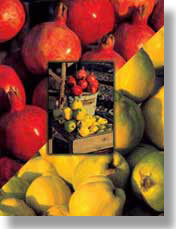 Though the tales often become exaggerated over time, they identify social values and thus provide insight into contemporary life. Art work: Courtesy 1997 AIOC Calendar featuring Dada Gorgud, Artist: Ismayil Mammad, Studio: (99-412) 95-36-20, 76-17-59, Design: Pirouz Khanlou. 9 President Aliyev's Visit to the U.K.